Whether you just want a relaxation experience, or needing to have some relief from pain, aches, stiffness and loss of range of motion . . . .you have come to the right place. 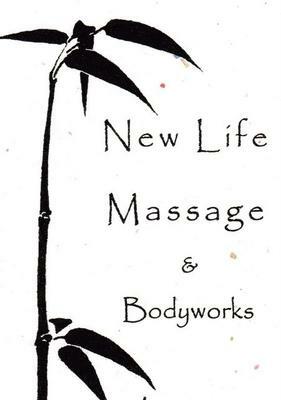 New Life is a holistic, body mind and soul, alternative health & wellness center that specializes in massage and bodywork. We also travel to events and have corporate packages. All our therapists are seasoned professionals who value life long learning. Regardless of which one(s) you use you will not be disappointed. Our Therapists have training in: Relaxation & Swedish Massage, Therapeutic, Deep Tissue, Acupressure, Trigger Point, Myofascial Release, Pregnancy Massage, Reiki, Eden Energy Techniques, NAT Frozen Shoulder Therapy Sports, Lymphatic Drainage Therapy, Stone massage, heat and cold applications, ear candling and more. We receive referrals from Doctors, Chiropractors, counsellors, friends and clients. We do not bill insurance directly but we do have a coded billing form we complete for you to submit to the insurance. 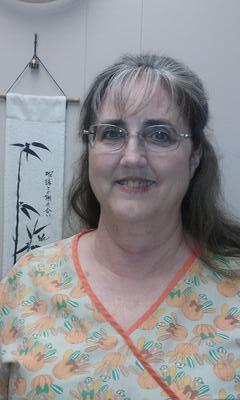 We operate by appointment, but Cynthia, the owner, is usually there Monday - Friday 10am - 6pm. If she is there and able she may take a walk in but much better to call ahead and make an appointment. Therapists will work outside those hours/days according to how their schedule permits. 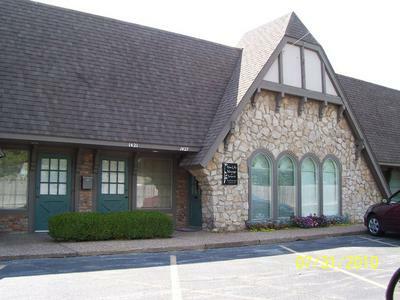 We are located in the Brookside area in the Old Village shopping complex, Old Village Professional building east of Whole Foods. The studio has a fantastic energy, calm and peaceful, inviting and clean. You will feel brand new, move easier and more range of motion , have more stamina, better mood and many intangible health benefits, after a visit which is individualized to you, your needs and goals .If you would benefit from a referral to other providers such as acupuncturist, chiropractor or physical we can help you with those referrals as well. Make an appointment today and enjoy New Life. You can also find reviews on our Facebook page and our individual Facebook pages.